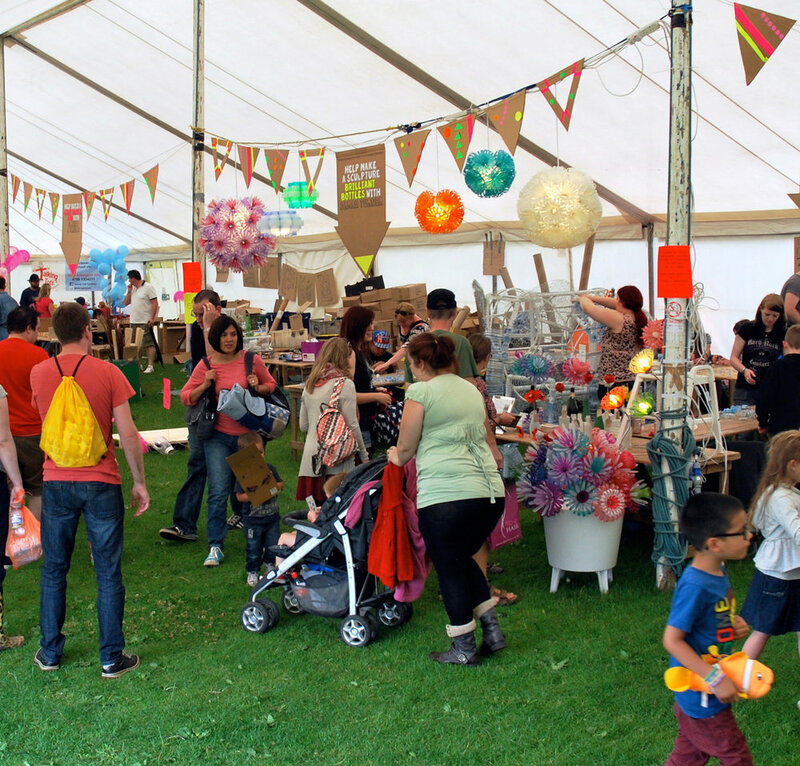 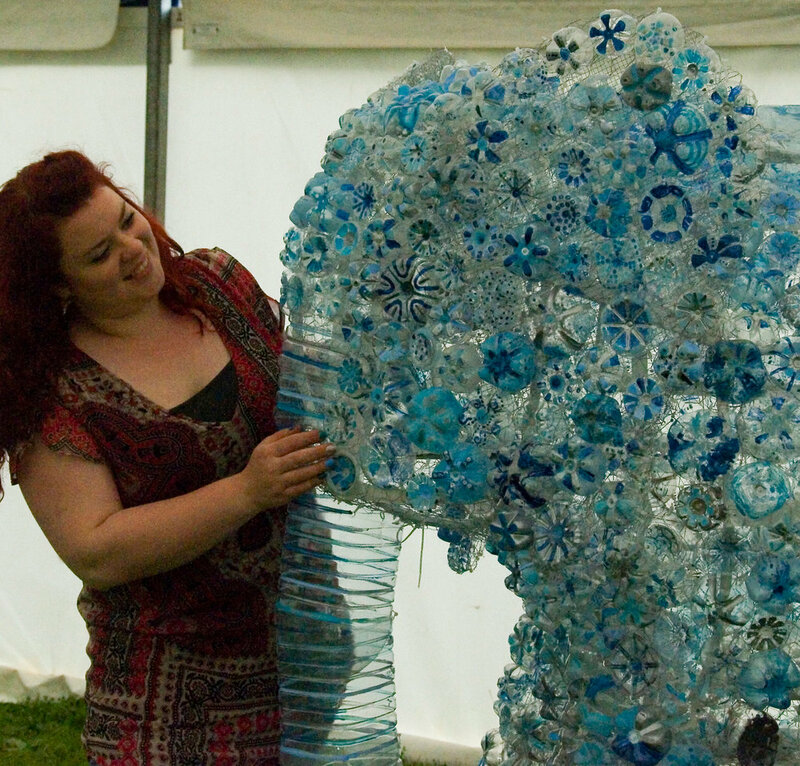 For Coventry's Godiva Festival 2014, Sarah created a stunning elephant sculpture with the help of the festival visitors. 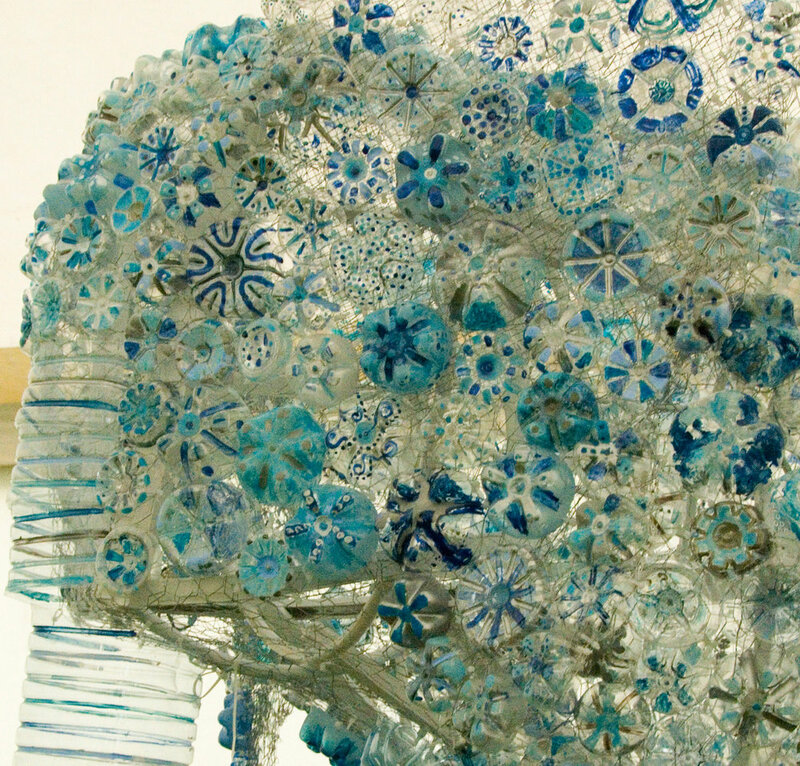 Around 900 plastic bottles were used to create the elephant. 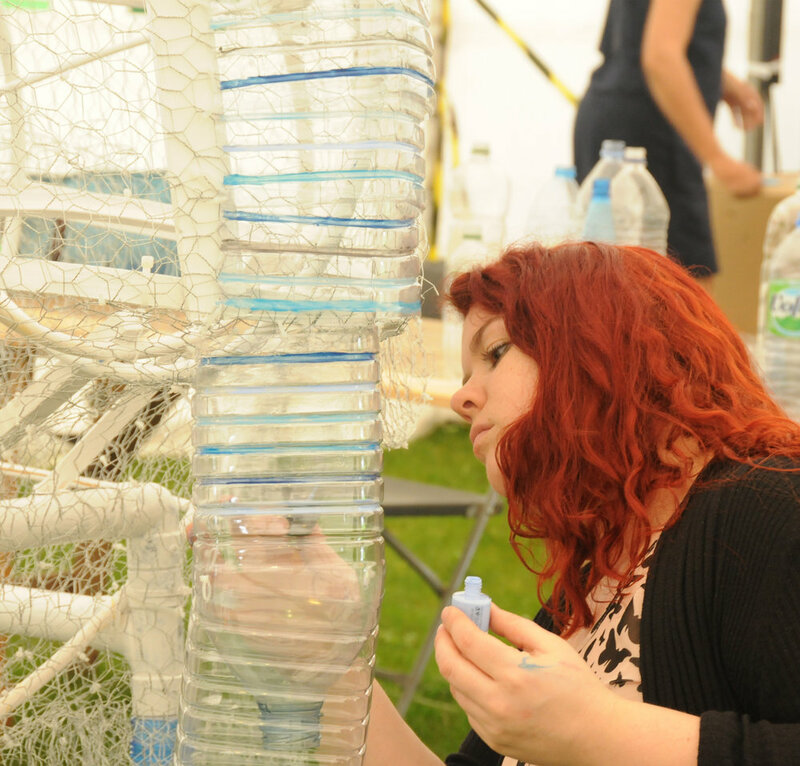 Each bottle was decorated with care by the hundreds of workshop participants which visited the Make Space Tent over the weekend. 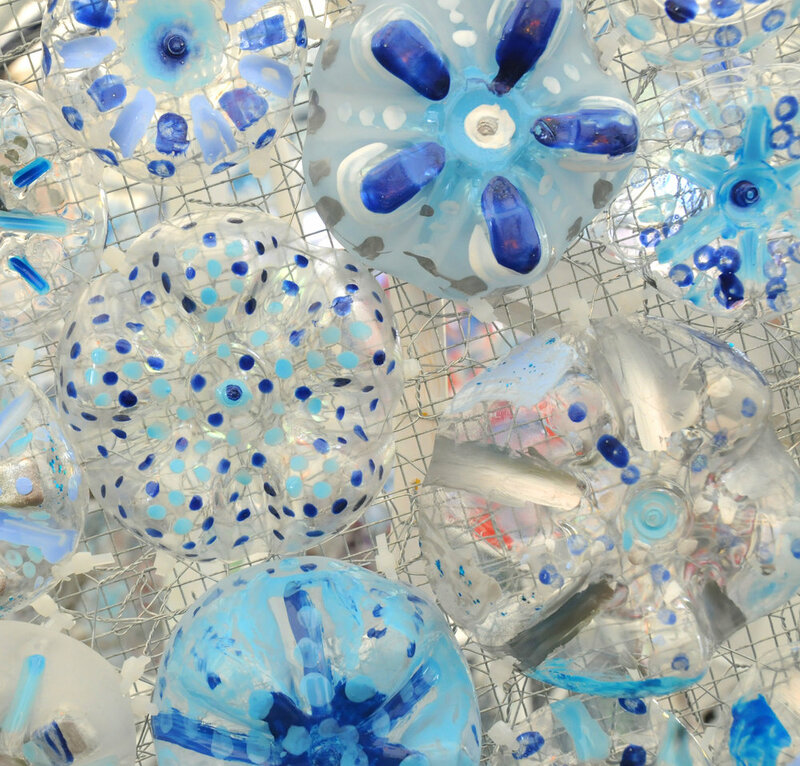 Each bottle was decorated with blue nail polish (Coventry's colour) then attached to the elephant's base. 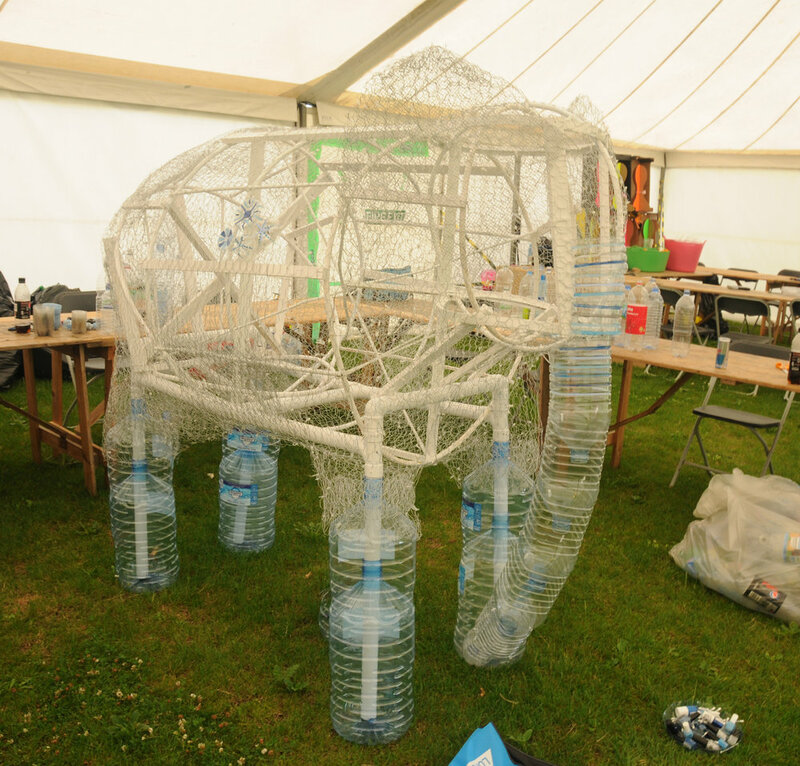 Emily the elephant really came to life over the course of the weekend as more and more bottles were added to the structure. 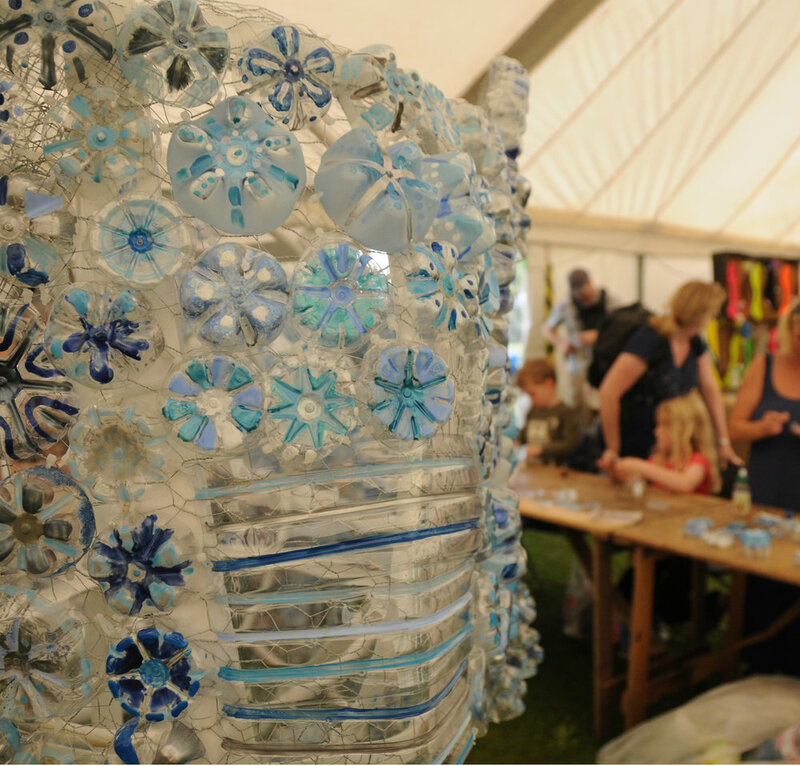 The art work refers to Coventry's coat of arms and also represents the City's commitment to reducing waste and celebrating creativity.